Looking to add a little shade to your party? We know the Florida heat can be brutal but watching your kids is even more important. 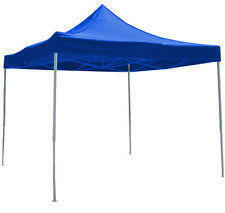 Rent a tent and you can be sitting pretty in the shade enjoying the company of your guests. Available in blue.